An invasion of a country based on the 9/11 lie. This is what the American government has done in We The Peoples name with our tax dollars. Obama is as bad as Bush when it comes to war crimes. Especially when they keep going on and on about paint. A few weeks back poster "Sunstealer" at the JREF forum claimed to have shown that one of the red/gray chips in the Active Thermitic Material paper was actually WTC primer paint. I just found something new out. Harrit et al did have a sample of WTC primer paint in the paper - they just didn't realise it! I have long suspected that the chip subjected to the MEK soaking was WTC primer paint but couldn't show that it was - until now. Now what's interesting is that Harrit et al claim that the MEK chip is identical to the samples a-d in the paper even though the compositions are radically different. This is one and the same material! Quote: Fig. (14). XEDS spectrum of red side before soaking in MEK. Notice the presence of Zn and Cr, which are sometimes seen in the red layers. The large Ca and S peaks may be due to surface contamination with wallboard material. The bolded part is their own bias. Que the nitpickers looking at different peak heights and claiming something different. It's not. Fig 14 - the chip soaked in MEK in the Harrit et al paper was WTC primer paint. "It is unfortunate that we did not first fracture the chip which was later soaked in MEK and measure the fresh surface -- a procedure we followed (thanks to Jeff Farrer) on the FOUR chips thoroughly analyzed in the paper. I am certain that if we had done this, there would have been no zinc on the inside of the chip-later-soaked, because after soaking there was NO ZINC (as we showed in our paper, Figures 16, 17 and 18). Clearly, soaking and agitating in MEK removed surface contamination. The Zn seen in Figure 14 was before soaking, as we said in the paper, and was very likely due to surface contamination, but we could have stated that more clearly. A lot of Zn was present in the dust (a fact recorded also in the USGS data set for the WTC dust). 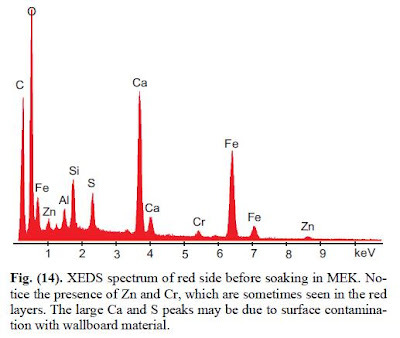 The fact that no Zinc or Ca show up in the post-MEK XEDS spectra, Figs 16, 17 and 18, appears to be ignored by the JREF'ers but is crucially important as demonstration that this is NOT primer paint." In one experiment the chips were to be soaked in methyl ethyl ketone (MEK) and could not – for good reasons – be broken before. The resulting XEDS of this chip (Figure 6, below) displays tiny blips indicating the presence of chromium and zinc. They disappeared after the chips had been soaked/rinsed with the organic solvent. Therefore, they are believed to derive from surface contamination, which very well could have been from the primer paint(!). Magnesium was never observed, which is another element characteristic of the primer paint (Table 1). 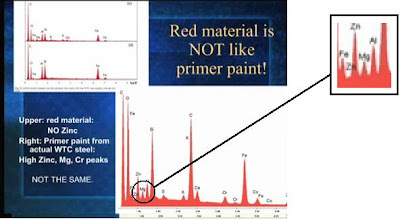 Indeed, as the spectra Dr. Jones labels as primer paint shows, magnesium is present in the paint, but not in the Fig. 14 spectra. Good catch on this. I've often suggested that the material in question was the anti-corrosive coating applied to the steel structure during construction. NIST describes the anti corrosion coating applied to the steel beams (also used to do the infamous 600 C temperature test) in 1-3C appendix D (check around page 433). Not shockingly, the pigments listed have iron, zinc, silicon and a proprietary pigment known as Tnemec. What's further, if you compare figure D4 to the ones shown in Harrit et al, you can't even begin to think it's anything else. "The paint and the red/gray chips have a distinctly different appearance (see for example recent photos by Jon Cole which confirm this fact) and different behaviors in the MEK solvent. After soaking in MEK, the red/gray chips (still wet with MEK) remained very hard, easy to pick up with forceps without deforming. OTOH, the paint including primer paint chips become very flexible and limp after soaking and still wet with MEK. There can be no mistaking the distinction, despite what the JREF'ers say." And what's more, we have independent confirmation from chemical engineer Mark Basile, who has come to the same conclusions as Dr. Jones et al. This is an issue that's been addressed many times before. The red/gray chips discovered do not act like paint, do not have the same ingredients as paint, and do not look like paint. And until debunkers decide to actually get their objections peer reviewed, the paper's conclusions stand. Thanks to Dr. Steven Jones and Jon Cole for their helpful comments and pictures of WTC paint and red/gray chips. Thanks to youtuber Lietuvispartizan for sending me the Mark Basile video and other helpful comments. Anyone who knows Richard Gage, AIA very well or has worked with him, knows that Richard insists that when you cite his name anywhere, whether in voice or print, that you include his title AIA, which stands for American Institute of Architects. I assume it’s much like a Dr. following his name with the letters PhD and is obviously important to Richard for whatever reasons. Those of us who know, always include the AIA tag when formally referring to Richard. We know that if we do not, Richard will be quick to correct us! Unfortunately, Richard now has another inclusion in his title; an Asterisk. "The exhaustive effort by Craig Ranke and Aldo Marquis of Citizen Investigation Team to contact, record, document, and analyze numerous first-hand eyewitness accounts of the actual flight path of the airliner at the Pentagon on 9/11 has been long overdue, but worth waiting for. The evidence they have uncovered and compiled in their DVD "National Security Alert" deserves serious attention - particularly in light of what we now know about the explosive destruction of the three World Trade Center high-rises that day." Prior to Richard’s endorsement of CIT, I knew about Craig and Aldo and their kooky theory that speculates that Flight 77 flew over the Pentagon. I confess that I didn’t really pay that much attention to them. I consider CIT’s work to be counter to the truth and believe that unsubstantiated claims of truth based on dishonest research and methods and speculation actually hurts our efforts at achieving a new 9-11 investigation. It was also a highly held belief that in most cases, it’s best as a movement to ignore disruptions such as these, which is what I did with CIT. In response, I personally contacted Richard and some of the other endorsers with polite, yet firm emails asking them if they knew the whole story behind CIT. I urged them to look further into Aldo and Craig if they had not done so in the beginning, and reconsider their endorsements of what I considered to be the worst disinformation in the 9-11 movement history. I also had a chance to sit down with Richard face to face when he was in Denver in August of 2009. My biggest concern was that Richard’s endorsement of CIT was helping CIT’s credibility and hurting his own. It is my opinion that there is very strong evidence to support the Controlled Demolition hypotheses at the World Trade Center on 9-11. Richard and his organization AE911T had gained much credibility over the years in this area. I did not want to see this hard work discredited by association with CIT and I saw this as a real possibility. I informed Richard of my concerns, as well as why I believe what I do. I was certainly not alone in my critique of CIT and I know Richard was hearing from many others on this topic. After spending over an hour and a half talking on this, Richard admitted to me privately that he had probably made a mistake with regards to CIT but still failed to fully retract his endorsement. In December 2009, Richard issued a “clarification” of his CIT statement, and in February of 2011, after educating himself about who Craig and Aldo really are, issued his “complete withdrawal of support” for CIT and their film. Personally I welcomed this withdrawal of support by Richard, although I wished he hadn’t given them the statement in the first place. I argued for a long time that the damage had been done, and that even if Richard took back his support from CIT, that they would never remove his name or words from their website. This was even a prediction I made privately after Richard issued the withdrawal; repeat, that CIT will NEVER remove his name or endorsement from their website. Since then, I have from time to time checked back to the “Praise for Citizen Investigation Team” webpage to verify my prediction. It is no great surprise to me, nor should it be to anyone familiar with CIT’s methods, that Richard’s endorsement continues to be posted at the CIT website along with the others. The only difference now is that Richard’s words are now followed by a big red Asterisk which is actually a link to another page at the website which contains a long and wordy response by CIT to Richard’s withdrawal of support. The link is neither prominent or easy to see. It is linked only to the Asterisk itself and unless you are looking for it, you won’t see it. The reasons that CIT will never remove Richard’s statements are not hard to understand. It’s not because of pride or ego or anything like that. The main reason, and one of the main goals of disinformation is to discredit good information with bad . Since Richard and AE911 promote solid information, one way to undermine them is to discredit them. When Richard, and all the other endorsers gave their names to CIT, they all in one way or another discredited themselves by associating good information with bad; some have called it the “turd in the punchbowl”. The endorsements provide a strong tie between the good and the bad and these ties will never be broken; they are actually the goal. Dishonest? Heck yea, but what else is new with CIT. It should be noted here that in my experience in the movement which goes back to 2003, I have never known any film about 9-11 to seek or even need endorsements. The movement has at times been hungry for tools to use on their friends and new video’s about the 9-11 attacks are no exception. The success or failure of a film was based on the films’ own merits. This list includes David Ray Griffin, Richard Gage, Aidan Monaghan, Barrie Zwicker, Sander Hicks, Kevin Barrett, Peter Dale Scott, and Ed Asner. It is not my intention in this essay to discuss the relative dangers in disinformation/ misinformation as it relates to CIT. This topic has been extensively covered on our podcast and at my blog. "American and coalition forces are in the early stages of military operations to disarm Iraq, to free its people, and to defend the world from grave danger." "Today we are part of a broad coalition. We are answering the calls of a threatened people. And we are acting in the interests of the United States and the world." 1:28 - "For two years there has been a campaign of intimidation and abuse..."
1:50 - "The world has watched these unjust actions with alarm ..."
2:17 - "These choices do not demonstrate strength, they show fear. For it's telling when a government is so afraid of its own citizens that it won't even allow them the freedom to access information ..."
2:52 - "... the rigid and unaccountable government, the refusal to let the people realize their full potential, for fear of undermining the authority of the state." I want to say to the Taoiseach how very grateful I am for his leadership and friendship. But I must say that I was somewhat ambivalent when we were up here giving our virtual signatures. Do you have any idea how much time I spend every day signing my name? I'm going to feel utterly useless if I can't do that anymore. By the time you become the leader of a country, someone else makes all the decisions -- you just sign your name. You may find you can get away with virtual presidents, virtual prime ministers, virtual everything. Just stick a little card in and get the predictable response. Charlie Sheen and Some Facts About 9/11 for President Obama to "Deal With"
Labels: 9/11: Explosive Evidence - Experts Speak Out, AE91Truth, Good Science and Demolition Theories, Tom Sullivan Former Explosives Loader for Controlled Demolition Inc.
Sites like 911Myths.com and others have claimed that Leslie Robertson, one of the original WTC structural engineers, never saw molten steel at Ground Zero. However, a video clip recently released from the IC911Studies which shows a presentation given by Robertson at Stanford University shows otherwise. Robertson clearly states that he saw a "river of steel flowing" at the B1 level of the WTC debris pile. James B. over at Screwloosechange recently commented on the debate between Richard Gage and Chris Mohr. James apparently thinks that Gage is contradicting himself by saying that explosives took down WTC7 but that thermite is an incendiary and makes no explosive sounds. From this, James concludes that this "magical thermite stuff" proves "trutherism is a mythology, not a science." Interestingly, James has brought up this issue before regarding the Twin Towers. What James still doesn't seem to grasp is the fact that thermite can be formulated as a quiet explosive. Granted, there was no "lack of sounds" as David Chandler has already demonstrated. The feature of ‘impulse management’ may be significant. It is possible that formulations may be chosen to have just sufficient percussive effect to achieve the desired fragmentation while minimizing the noise level. This certainly doesn't sound like magic or mythology to me. All it sounds like is science. So yes, thermite can be formulated as an explosive, but it can also be formulated to reduce the explosive sounds. Certainly those close to WTC7 might have heard these explosions, and it is those types of witnesses Gage references. Although an explosion is almost always accompanied by the production of a loud noise, the noise itself is not an essential element in the definition of an explosion. The generation and violent escape of gases are the primary criteria of an explosion. Below is an edited version of Gage and Mohr's debate where I have added comments and videos to address the sound issue and other points raised by Mohr. Unedited version of Gage and Mohr's debate with visual aides and download link. EPA & Whitehouse: The Air is Safe! Well we all know what that means! The audio can be downloaded here. Edited version of Gage and Mohr's debate with added comments and videos to address the sound issue and other points raised by Mohr. The following written answers were provided to Chris Mohr, Investigative journalist, by NIST (National Institute of Standards and Technology) on 2/25/11 in preparation for the debate that Mohr had with AE911Truth in Boulder, CO on 3/6/11. Listen to that debate here. Below are the answers to your questions as requested. We apologize for the delay in getting these to you but we wanted to be certain that we provided you with the most complete and up-to-date responses that we could. Hopefully, these will help you as you prepare for your debate. Thanks for your patience. Let us know if we can be of further assistance. 1) Just making sure I understand sag vs pancake etc., getting clear on the difference and why the pancake theory popularized on public TV several years ago is no longer accepted. Also is there photographic evidence of sagging steel structures and steel columns being pulled inward? I do have figure 2-12 with the lattice overlay of inward buckling. I'll be using a lot of slides and videos (as will Richard) and visuals work well for this audience. NIST’s findings do not support the “pancake theory” of collapse, which is premised on a progressive failure of the floor systems in the WTC towers (the composite floor system—that connected the core columns and the perimeter columns—consisted of a grid of steel “trusses” integrated with a concrete slab). Instead, the NIST investigation showed conclusively that the failure of the inwardly bowed perimeter columns initiated collapse and that the occurrence of this inward bowing required the sagging floors to remain connected to the columns and pull the columns inwards. Thus, the floors did not fail progressively to cause a pancaking phenomenon. Note that the first part of NIST's answer is simply a repeat of one of their answers at their FAQ section on the WTC investigation. As we will see, several of NIST's answers to Mohr are just repeats of points that have already been raised at their FAQ page. The change from “truss failure and pancake collapse” to the “weakened trusses that did not completely fail causing inward bowing of the perimeter columns and a non-progressive collapse” was acknowledged in the second of two NOVA TV documentaries about Ground Zero. The first program, “Why the Towers Fell” in 2002, discussed the truss failure/pancake collapse theory postulated by the Building Performance Assessment Team study (done by the Federal Emergency Management Agency and the American Society of Civil Engineers) that was the precursor to our more comprehensive investigation (which was under way at the time the program was produced). The follow-up program, “Building on Ground Zero” in 2006, corrected their previous report with a discussion of the “inward bowing” mechanism. In the following, NIST squirms away from the assertion that the 'collapses' of the Twin Towers were progressive collapses. It does this by describing the floor pancaking model (endorsed by earlier versions of the official story, such as FEMA, NOVA, and Eagar) as a progressive collapse, thereby implying that NIST's theory is not a progressive collapse theory. Indeed, there are no examples at all of a high-rise steel-framed skyscraper totally collapsing from fire. As for the inward bowing, Jim Hoffman has noted an alternative scenario for how it could have happened, as NIST has no evidence for the kinds of temperatures needed to cause it. The inward bowing could be caused through some type of demolition scenario. 2) Making sure I understand how to calculate the kinetic energy of the fall. Besides f=ma, what are the factors that determine how much more force gravity adds to a falling object? Richard Gage says there is not enough kinetic energy for the collapse to continue, but with the f=ma formula it seems that an object hits with 9.8 times more force just in the first second (assuming not much elasticity... and concrete and steel aren't all that elastic). By the way, I will be dropping a 25 pound dumbbell on a bathroom scale from 6 1/2 feet up. That's only half a story. In my first debate with a local 911 guy I crushed the scale completely. It's not scientific but I think it does demonstrate how even 25 pounds in free fall quickly generates enough force to crush a scale designed to measure the weight of a 300-pound object! NIST estimated the elapsed times for the first exterior panels to strike the ground after the collapse initiated in each of the towers to be approximately 11 seconds for WTC 1 and approximately 9 seconds for WTC 2. These elapsed times were based on: (1) precise timing of the initiation of collapse from video evidence, and (2) ground motion (seismic) signals recorded at Palisades, N.Y., that also were precisely time calibrated for wave transmission times from lower Manhattan (see NCSTAR 1-5A). “… the structure below the level of collapse initiation offered minimal resistance to the falling building mass at and above the impact zone. The potential energy released by the downward movement of the large building mass far exceeded the capacity of the intact structure below to absorb that energy through energy of deformation. In other words, the momentum (which equals mass times velocity) of the 12 to 28 stories (WTC 1 and WTC 2, respectively) falling on the supporting structure below (which was designed to support only the static weight of the floors above and not any dynamic effects due to the downward momentum) so greatly exceeded the strength capacity of the structure below that it (the structure below) was unable to stop or even to slow the falling mass. The downward momentum felt by each successive lower floor was even larger due to the increasing mass. • It requires us to believe that the massive steel frames of the towers provided no more resistance to falling rubble than air. • It ignores the fact that most of the rubble fell outside the towers' footprints, and hence could not contribute to crushing. • It is unsupported by any calculation or logical argument. Indeed, the NIST report provides no calculations to back up this assertion. And calculations that have been done to support this notion have been addressed and refuted numerous times here, here, here, and here. NIST’s response does nothing to answer Mohr’s question. From video evidence, significant portions of the cores of both buildings (roughly 60 stories of WTC 1 and 40 stories of WTC 2) are known to have stood 15 to 25 seconds after collapse initiation before they, too, began to collapse. Neither the duration of the seismic records nor video evidence (due to obstruction of view caused by debris clouds) are reliable indicators of the total time it took for each building to collapse completely. To the contrary, video records, such as this record of the North Tower's fall clearly establish upper boundaries on the times that it took for the vast majority of each tower to be destroyed. 3) The tops of WTC I and II have been compared to pile drivers pushing the building through a natural collapse. But since both the top and bottom of the buildings were of similar structural strength, it looks to me like the bottom of the building was like a pile driver for the top as well. As the top of the building loses its structure while crashing down onto the very strong steel supports of the bottom part, how does the structural collapse of the top affect its ability to keep pushing down on the bottom of the building? Since the stories below the level of collapse initiation provided little resistance to the tremendous energy released by the falling building mass, the building section above came down essentially in free fall, as seen in videos. As the stories below sequentially failed, the falling mass increased, further increasing the demand on the floors below, which were unable to arrest the moving mass. Not only is this a repeat of NIST’s FAQ page, it’s a repeat of their previous answer to Mohr’s previous question! Does NIST have the capability of originality? These points about the “pile driver” have already been addressed. As for the cores of the Towers, photographs show that the remaining portion of the South Tower’s core included only the inner 23 core columns. The 24 outer core columns are evidently missing. 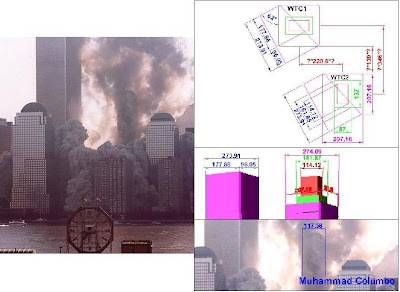 The fact that 50 to 60 story high portions of the central core remain standing for several seconds, in the collapses of both twin towers, does pour cold water on the crush down (pile driver) theory of Bazant and the NIST. What many don't know is that it was only the 23 inner core columns which remained standing, and none of the significantly larger outer 24 core columns. This was brought to light by Muhammad Columbo in 2007 and enabled mechanical engineer Gordon Ross… to be the first to fully dissect just how the towers were demolished. Again, NIST’s response does nothing to answer Mohr’s questions. 4) How could the towers have collapsed almost straight down? I have good answers (building was 95% air by volume, no lateral force like an earthquake pushed it to the side, etc). Still, I can't quite answer their assertion that a mostly straight-down collapse would have required that hundreds of structural supports all fail at once, that the randomness of natural fires creates asymmetrical collapses. In the absence of any lateral forces acting on the falling mass, gravity will cause the mass (upper stories of the building) to collapse straight down. Core members were still standing after the rest of the building had collapsed. The centered collapses meant the falling mass followed the path of maximum resistance. That's the opposite of how we expect a structure to behave when it falls apart in any kind of natural process. Even if the towers were made out of clay, we wouldn't expect them to collapse in such a dead-centered fashion. It's all the more incredible that a steel structure would shred itself by falling into itself instead of falling over. There are many examples of steel-framed buildings undergoing unintentional collapses as a result of severe earthquakes. In contrast to the destruction of the Twin Towers, no such collapses have been vertical or total -- let alone explosive. Rather, steel-framed buildings destroyed by earthquakes have toppled. Again, a straight down collapse of a steel framed structure has only ever happened in a controlled demolition. 5) Do you have an explanation for the iron microspheres in the WTC dust? Controlled demolition theorists assert this is evidence of very high temperatures during the collapse, well over 2000 degrees, which leads them to thermites. The "911 debunkers" claim the microspheres are in printer toner, burnt garbage ash, concrete, etc but I can't find evidence of this. NIST did not study the “microspheres.” The body of available evidence does not support the theory that thermite or nanothermite was used to demolish the WTC Towers or WTC 7. This is not the first time NIST has openly admitted that they never looked for evidence of explosives or incendiaries. NIST did not find any evidence that thermite was used in the demolition of the Towers because they never looked for it. As far as the “microspheres” that were claimed to have been found at Ground Zero, there are two arguments against their being linked to thermite or nanothermite. First, there is no "chain of custody" for the samples. They cannot be traced back to anything "used" in the towers or WTC 7, or for that matter, or to any of the these three buildings at all. On the contrary, the chain of custody has been well established for the samples Dr. Jones has collected. Secondly, even if the samples could be conclusively linked to one of the three WTC buildings, there are hundreds of possible sources for the samples reported. For example, the alternative theory groups have often cited a U.S. Geological Survey paper, “Particle Atlas of World Trade Center Dust Report,” as documenting the chemical signature of thermite. However, a review of the actual paper (http://pubs.usgs.gov/of/2001/ofr-01-0429/chem1/) shows that the authors state that "the trace metal compositions of the dust and girder coatings likely reflect contributions of material from a wide variety of sources. Possibilities include metals that might be found as pigments in paints (such as titanium, molybdenum, lead, and iron), or metals that occur as traces in, or as major components of, wallboard, concrete, aggregate, copper piping, electrical wiring, and computer equipment. Further detailed SEM studies of dust and beam coating samples are needed to develop a better understanding of the residences of metals in the samples. A detailed review of the materials used in construction, and the elemental composition of materials commonly found in office buildings would also be useful to understand more completely the potential sources and compositions of the materials in the dusts." There is NO mention of thermite or nanothermite as a possible source. If I leave margarine, flour, sugar and fruit in a cupboard, when I next open the cupboard I will not find a fruit crumble. Some mechanism is required to convert the ingredients. Similarly, if I take these same ingredients, set them alight and throw them out the window, I still will not get my fruit crumble. The mechanism must have some order. Although these elements -- aluminum, iron, oxygen, and silicon -- were all abundant in building materials used in the Twin Towers, it is not possible that such materials milled themselves into fine powder and assembled themselves into a chemically optimized aluminothermic composite as a by-product of the destruction of the Twin Towers. "Debunkers" have proposed that the iron-rich spheres were fly ash residues embedded in the Towers' concrete, ignoring that the iron constituents in fly ash are oxides rather than elemental iron. How will they explain away the bi-layered chips, whose red layers have iron oxide and elemental aluminum in the ratio of Fe2O3 thermite as nano-sized particles of uniform shape? To date, there is still no explanation for the iron microspheres or the red/gray chips. 6) For Building Seven, if column 79 had failed, weren't there redundant support structures somewhere to shift the load to, at least partially? It seems that all big buildings are designed with structural redundancies. How can one column's failure bring the whole building down? I do see an eight-second time period on the video of the Bldg 7 collapse after the east penthouse goes down. Is that when the structural load shifted momentarily before the global collapse? According to the report's probable collapse sequence, heat from the uncontrolled fires caused thermal expansion of the steel beams on the lower floors of the east side of WTC 7, damaging the floor framing on multiple floors. And yet, as others have pointed out, NIST’s estimated fuel loading for the floors they claimed failed could not have provided sufficient energy to cause collapse in the first place. Eventually, a girder on Floor 13 lost its connection to a critical column, Column 79, that provided support for the long floor spans on the east side of the building. The displaced girder and other local fire-induced damage caused Floor 13 to collapse, beginning a cascade of floor failures down to the 5th floor. Many of these floors had already been at least partially weakened by the fires in the vicinity of Column 79. This collapse of floors left Column 79 insufficiently supported in the east-west direction over nine stories. However, evidence shows that NIST has greatly misrepresented the construction of Building, and shows that the girder should NOT have failed. The unsupported Column 79 then buckled and triggered an upward progression of floor system failures that reached the building's east penthouse. What followed in rapid succession was a series of structural failures. Failure first occurred all the way to the roof line-involving all three interior columns on the easternmost side of the building (79, 80, 81). Then, progressing from east to west across WTC 7, all of the columns failed in the core of the building (58 through 78). Finally, the entire façade collapsed. "According to NIST, the global collapse of WTC 7 began 6.9 seconds after the East Penthouse collapse or about 23 seconds into the simulation. Now consider NIST’s Figures 12-66, 12-67 and 12-69 and in particular the images showing the alleged state of the core 17.5, 19.5, 20.7, 21.8, 24.1, 26.8 and 28.8 seconds into the collapse simulation. These images represent NIST’s view of what the core looked like at ~1-2 second intervals following the collapse of the East Penthouse. What is most significant about these images is that around the time of global collapse initiation NIST’s simulation shows that the eastern half of the core had completely collapsed while the western half of the core remained standing and relatively undamaged. This is quite remarkable since videos of the collapse of WTC 7 show that up to and well beyond the moment that the roofline of WTC 7 exhibited its first downward movement, the exterior of the building revealed absolutely no signs of NIST’s proposed partial collapse of the core even though the core was connected to the exterior walls of Building 7 by dozens of horizontal beams on every floor." 7) Your official 2008 report says that Building 7 fell at 100% of free fall acceleration for over two seconds of the collapse. Even if the major support structure had collapsed, it seems there would have to be SOME resistance to the collapse. How is this possible? In the draft WTC 7 report (released for public comment on Aug. 21, 2008), NIST stated that the north face of the building descended 18 stories (the portion of the collapse visible in the video) in 5.4 seconds, based on video analysis of the building collapse. This time period is 40 percent longer than the 3.9 seconds this process would have taken if the north face of the building had descended solely under free fall conditions. During the public comment period on the draft report, NIST was asked to confirm this time difference and define the reasons for it in greater detail. That was done for the final WTC 7 report (released Nov. 20, 2008). * Stage 1 (0 to 1.75 seconds): acceleration less than that of gravity (i.e., slower than free fall). This analysis showed that the 40 percent longer descent time—compared to the 3.9 second free fall time—was due primarily to Stage 1, which corresponded to the buckling of the exterior columns in the lower stories of the north face. During Stage 2, the north face descended essentially in free fall, indicating negligible support from the structure below. This is consistent with the structural analysis model which showed the exterior columns buckling and losing their capacity to support the loads from the structure above. In Stage 3, the acceleration decreased as the upper portion of the north face encountered increased resistance from the collapsed structure and the debris pile below. NIST’s response does nothing to answer Mohr’s question. This is, yet again, a repeat of the points NIST has already raised in their report and the FAQ pages. They provide no calculations to support their assertion that the buckling of the lower floors could cause the building to descend in free fall. 8.) Your report says that the Building 7 fires were scattered on several floors, that was not one huge fire. How do I reconcile this information with a global collapse of a steel framed building for the first time ever. Debris from the collapse of WTC 1, which was 370 feet to the south, ignited fires on at least 10 floors in the building at its south and west faces. However, only the fires on some of the lower floors-7 through 9 and 11 through 13-burned out of control. These lower-floor fires-which spread and grew because the water supply to the automatic sprinkler system for these floors had failed-were similar to building fires experienced in other tall buildings. The primary and backup water supply to the sprinkler systems for the lower floors relied on the city's water supply, whose lines were damaged by the collapse of WTC 1 and WTC 2. These uncontrolled lower-floor fires eventually spread to the northeast part of WTC 7, where the building's collapse began. As NIST itself has stated, the fires in WTC7 were likely no more severe and probably less severe than the fires in other buildings. They blamed the collapse on the fires and the construction of the building, which we have already seen NIST misrepresented. As stated previously above, the heat from the uncontrolled fires caused steel floor beams and girders to thermally expand, leading to a chain of events that caused a key structural column to fail. The failure of this structural column then initiated a fire-induced progressive collapse of the entire building. Again, NIST has not provided proof of either the temperatures of the fires, nor shown how their models of the building’s collapse are consistent with the videos. a) Sulfidized steel melts at a lower temperature than regular steel (I have read figures of both 1800 and 2200 degrees F). b) Gypsum, which is 18% sulfur, was used as fire insulation for some of the steel beams and trusses. c) I don't know how steel is sulfidized. Is mere proximity of steel and sulfur during a fire enough to sulfidize steel? d) If so, could some steel have been sulfidized in the WTC fires, causing some steel to melt at the lower temperatures of the WTC fires? Or is there another explanation? Or is there no explanation yet? Except for this I have so far been able to find alternative explanations for melted steel in the rubble (such as melted aluminum from airplanes and cars in the basement garages). The steel sections used in the other WTC buildings (WTC 3, 4, 5, 6, and 7) were conventional sections and were not marked. Thus it was not possible to conclusively trace the piece studied in the FEMA report to a particular building. It is also not possible to determine how and when the sulfidation occurred. It is important to note that NIST found that the steel only needed to heat sufficiently to lose a substantial amount of its strength and stiffness, which occurs at a temperature well below the melting point. NIST’s claim that “it was not possible to conclusively trace the piece studied in the FEMA report to a particular building” is contradicted by Dr. Jonathan Barnett, who has said that the type of steel found could be traced to WTC7. But even if it could not conclusively be traced back to WTC7, this is still no excuse not to examine it, as it obviously came from Ground Zero. Note that NIST still continues to talk about steel weakening, whereas Mohr’s question had to do with the steel melting. NIST has provided no explanation for the sulfidation of the steel, and any of the natural sources of sulfur in the buildings has been ruled out. NIST has done nothing to answer any of Mohr’s questions. They have simply rehashed many of their old points which have long been debunked. Hopefully Mohr will be able to see through NIST’s deceptiveness in the future. Firehouse 911 – The 9/11 video by Firefighte​rs for Firefighte​rs. http://911tv.org exclusive! Your $20 donation gets you a copy and ensures 10 American Firehouses will also receive a copy! Our goal is to send this DVD to every Firehouse in America! International orders encouraged! Shipping always FREE! Go to http://911tv.org. Donate for as many copies as you can. Each $20 Donation sends to 10 more Firehouses! That includes DVD, sleeve, envelope, timely message and 44¢ stamp (think NetFlix) all for a donation of only $20. Donate Now and make this DVD possible. You get the first disc made and your donation ALSO ships the same DVD to 10 firehouses. We’ll start with the big city zip codes and then radiate in concentric circles until we’ve brought the Truth to ALL America. http://911tv.org reminds you that it is exactly 6 months till the Once-in-a-Lifetime 10th anniversary of 9/11 in NY this year. Cosmos reminds us to become 9/11 active on the Eleventh of EACH month. "I retired from FDNY in 1998. I knew many of the guys who died in the WTC collapses. May they rest in peace. I've read tons of information re. the deaths of my brothers on 9/11. I've watched the videos, listened to the rantings on both sides. It wasn't until 2006 that I began questioning the "official story" and did my own research. There is bad info on both sides, but I've concluded that the "official story" doesn't add up. It sounds like a whitewash. 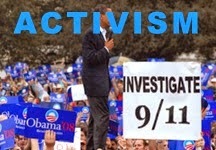 The 9/11 Commission didn't investigate anything--they just took statements. We need a real, independent investigation, with supeona powers. If the "offical" version is correct, so be it. And if heads are going to roll at any level of the government or military, so be it. Let's do it, and let's not be afraid of the truth. The brothers deserve that much." Source: Firefighters for 9-11 Truth Petition - The petition is open to everyone. Here is their Flyer. Please distribute to your local Fire Stations, Police Stations, and everybody else. 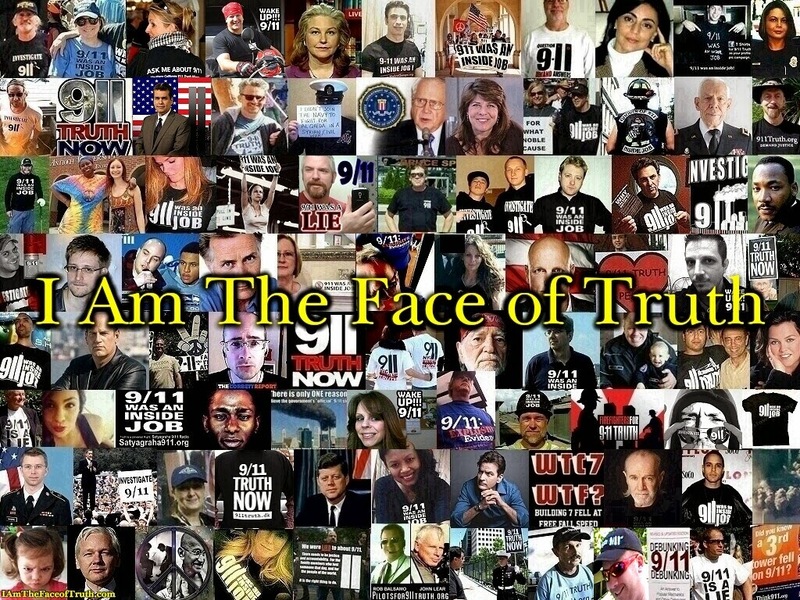 The Screw Loose Change blog recently posted "criticism" of an emotive appeal that appeared on this blog that is entitled "Re-Investigation of 911" on You Tube. Their attack consisted only of ad hominem ridicule; "Can you imagine anything more insane? 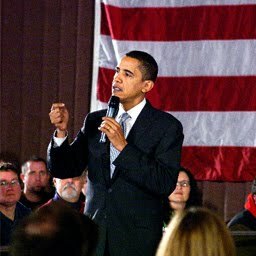 ", whilst the comments made by the online video poster, in relation to 911, were COMPLETELY VALID. The Screw Loose Change propagandists are the ones who are mentally lacking. These "debunkers" would have you believe there are no serious problems with the official 911 story that would require a re-investigation of the murders. To agree with them you would have to blindly accept that the 911 Commission, roundly criticised from many quarters as being an exercise in cover up, and admitted by several of the Commissioners themselves as being seriously flawed, has provided an adequate accounting of the events of 911. Indeed, to agree with these "debunkers" you would have to accept the unscientific NIST "explanations" into the WTC demolitions. However, NIST doesn't even account for the collapse features of the Towers (global collapses are not inevitable), and NIST lies about Building 7 whilst ignoring the mountain of experimental and forensic data that proves the case for explosives. To accept the "debunker" claim of insanity you would have to reject unrefuted peer reviewed scientific papers showing evidence of explosives at the WTC on 911, as they have, and live in denial of the Laws of Physics as demonstrated in their refusal to accept simple physical proofs of demolition. The video poster's claims are correct. We have been hoodwinked and we have been cheated out of living in a country based upon Law, truth-seeking and liberty. Rational people should stand by the emotive appeal made in this video, one that is backed by science and hard evidence. The insane or easily mislead can stand by the ridicule and baseless arguments put out by the "debunkers." Pat Curley of the Screw Loose Change blog often tries to downplay the credentials of the members of Architects & Engineers for 9/11 Truth and other individuals in the truth movement. This email I received shows that even electrical engineers take classes relevant to the issues. I've read the NIST report, and the speed of fall of the buildings was the clincher for me. All of the other evidence is tirelessly debunked, but if everyone could just be educated on the irrefutable, near-free-fall of the buildings, we could make more progress. I have an electrical engineering degree, but I still had to take Statics and Dynamics. I can understand why so many are fooled on this topic. I actually had doubts (you know, anything is possible...) and I took Statics (equations of bodies at rest) and Dynamics (equations of bodies in motion) to get my degree. Then I read the NIST report on WTC7. It's a computer model, worked backwards to explain the fast fall. It's hypothetical. And they admit free-fall for a time. I had to look up the equations of free fall (with air resistance) on wikipedia and nasa.gov. The equations are specifically for acceleration without structural resistance. That means NO resistance of "upper part of building crashing into lower part, then building collapses into its footprint". Applying this to the twin towers, all the floors below the plane impacts had resistance, had to be impacted by mass from above, for the official story to be true. "Pancaking", or the "zipper" theory require some structural failure, and that adds time. There is simply no way the twin towers collapsed by structural failure, the resistance HAD to be removed somehow. We don't know by whom, or how exactly, but there are grains of truth among the CT strawmen that are put up. Some people, like me, reluctantly admit that there's more to 9/11 than the official story because physics demands it. Others understand it intuitively, because the video of the buildings collapsing looks just like a controlled demolition, just doesn't look right for a gravitational collapse by structural failure. For us, there's no going back to the lie. I wish the official story were true. I also know this country will never be united under a lie. It's a lie of omission, because the NIST Report ends at the initiation of collapse, and doesn't explain how the floors below impact fall like they had no resistance. Here is a post from blog contributor Adam Taylor proving that the collapse rates of the WTC buildings were consistent with controlled demolition. Back in February of 2009, debunker Mark “Gravy” Roberts announced that the “9/11 ‘truth’ movement has dried up and blown away,” and that he wouldn’t be adding anything new to his site “unless big news arises.” Some of the “big news” Roberts last added was an honest mistake made by a contributor to this blog. Roberts had not added anything since March of 09, which is odd considering that two years worth of big news has occurred in the 9/11 truth community. Well, after almost two years, Roberts has finally added something new to his site. He has uploaded an old video he made back in 2007 called “WTC Not a Demolition,” which is currently available at 911myths.com. He claims that his video “shows how absurd those claims (about controlled demolition) are from an audiovisual standpoint.” After reviewing his video myself, I have found that this claim is not even remotely true. Many of the arguments Roberts makes in his video are addressed in my extensive critique of the 9/11 Mysteries Viewer’s Guide. His video presents itself as offering sound refutations to controlled demolition theories. Here I will show that his video amounts to nothing more than petty insults and half-baked arguments. To address each section, I will use the video’s online index. The thermal/corrosive attack on these two portions of the structure leaves the entire block of the core structure above the upper mechanical equipment floor "floating", with no major steel members to transfer its gravity loads to the lower portion of the core or to the perimeter walls: it is now supported by the web-trussed floor diaphragms. The upper core block now exerts massive inward forces on the perimeter walls due to the high degree of leverage involved in the translation of the core block's gravity loads into pulling on the perimeter walls. It is these forces that produce the inward bowing of portions of perimeter walls that NIST claims are due merely to the sagging of floor diaphragms still supported by the core. As Hoffman also writes in his essay, “A key objective is to get the top of the Tower to move before explosive action is clearly evident to onlookers outside the building.” Thus, engineered in the correct way, the inward bowing of the Towers’ perimeter columns could very well have been an essential element in initiating the collapses. 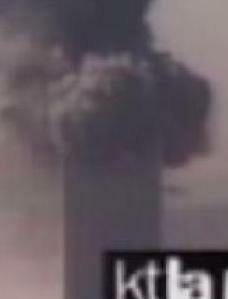 The next section of Roberts’ video deals with the audio of the South Tower’s collapse. He shows a video of the collapse with fake audio and claims truthers have used this video as evidence. While the audio in that video is clearly fake, new videos of the WTC collapses have been released through FOIA requests, and show that explosive sounds are clearly audible. Roberts then proceeds to show a long series of demolitions to emphasize how loud traditional demolitions are. Again, Roberts makes the error of assuming that the Towers were set up as traditional demolitions. The “sounds of explosions” issue has been raised by numerous debunkers. Before addressing the sound of the Towers’ collapses, let’s first look at how relevant the sound issue actually is. According to the NFPA 921 Guide, the actual “sound” of an explosive does not define an explosive event. Therefore, by the standards of the National Fire Protection Association, the “sound” of an explosion does not define an explosion. This of course makes sense, as sound evidence would technically fall under the category of witness evidence, as sounds have to be attested to by witnesses in an investigation. What should be tested for is the forensic evidence for explosives. NIST has admitted numerous times that they never tested for residues of explosives or incendiaries, and they dismissed the idea of explosives being used based on the “sound” argument. Yes, this possibility was investigated carefully. NIST concluded that blast events inside the building did not occur and found no evidence supporting the existence of a blast event. In addition, no blast sounds were heard on the audio tracks of video recordings during the collapse of WTC 7 or reported by witnesses. If other investigations were carried out by NIST and Roberts’ standards, then the police would have to rule out being shot as a cause of death if nobody hears a gunshot, even if the person has a very obvious bullet wound. Of course, other types of explosives could have been used, and explosive sounds would probably not have been 100% preventable. However, Jim Hoffman has suggested a way that the demolitions would not have produced distinct explosive sounds. Regardless of what Roberts believes, the collapse of the Towers produced enormous explosive sounds that could be heard miles away. Roberts then proceeds to take issue with a video of the North Tower’s collapse in the film Loose Change. While I agree that the shaking was not caused by some pre-collapse explosion, explosive sounds can be heard in videos of the North Tower’s collapse. • 07:24 "I heard a bomb" – witnesses using figures of speech to describe loud sounds. Includes interview with Hursley Lever, witness to the north tower elevator shaft fireball. I do not know whether the FDNY witnesses constitute a representative sample of 9/11 witnesses, but it is possible that they do. Certainly, there is no lack of testimony to explosions from those outside the FDNY, and I see no obvious reason why firefighters and medics would be more prone than others to feel that they were witnessing explosions. If they constitute a representative sample, then a minimum of 23% of all witnesses to the Towers’ collapses appear to have perceived, or thought they perceived, explosions that brought down the Towers. Explosion sounds can be explained away. But, only after a thorough investigation. When there is this much witness testimony, evidence, and explosive use by terrorists on this very same complex, there is no excuse for refusing to test for explosive residue. • 09:35 Use and effects of steel cutter charges. The next section of the video deals with how conventional demolitions are set up. Again, the Towers were obviously far from conventional demolitions. The demolitions of the Towers could have been set up in any way needed. That’s why it’s called a CONTROLLED demolition. • 11:55 A few pounds of cutter charges = huge boom and flash. Roberts then expands on this point by showing how explosive demolitions create loud explosions and bright flashes. We have already covered how the sound levels could have been decreased, and that witnesses did report enormous explosions that could be heard for miles. And the fact of the matter is that flashes have been found in videos of the South Tower’s collapse. But this is an irrelevant point, as bright flashes do not always occur in controlled demolitions. Roberts also raises the point about how many pounds of explosives would have been needed to demolish the Towers. However, as civil engineer Jonathan Cole has demonstrated, a minimum amount of thermite/thermate could have been used, even when it has not been formulated to be explosive. Roberts then decides to reference Matthys Levy and the Weidlinger Associates investigation. This may not be the wisest decision, as the Weidlinger report strongly contradicts the NIST report on the collapse of the WTC. Roberts also claims that truthers have misrepresented the size of the fires in the Towers. Roberts claims “Conspiracists like to claim that the fires were almost out just before collapse.” For someone who accuses people of misrepresenting others’ claims, Roberts does a fine job of doing that himself. What most in the Truth Movement claim is that the fires in the SOUTH Tower were almost out before collapse. And videos and photographs confirm this. Roberts believes the explosives wouldn’t have been able to survive the plane impacts and the fires. This is also false. The next section of Roberts’ video deals with the squibs from the Towers. He asserts the dubious claim constantly repeated by debunkers and NIST that these squibs were simply air pressure ejected from the Towers. He points to one squib and claims that it is not blasting out, but flowing out of the building. However, squibs can eject from buildings at varying speeds, depending on how the gases are ejected from the explosives. Also, this one squib should not be representative of all the squibs from the Towers, as physicist David Chandler has shown that several of these ejections did shoot out of the building the exact way explosives behave, starting out strong and then loosing speed. Also, careful calculations done by Dr. Crockett Grabbe show that the horizontal ejection rate of these squibs is disproportional to the vertical fall rate. The video frame in Figure 4 of the World Trade Center North Tower taken by KTLA channel 5 news shows a "squib" -- a line of ejecting material from the tower -- right before it collapsed. Such squib ejections are driven by massive overpressure inside the building relative to the atmospheric pressure outside, and that overpressure is created by explosions. A number of squibs were observed coming from all 3 of Buildings 1, 2, and 7 a short second or 2 after each one started to collapse, and there are several websites that show photograph of them on all 3 buildings. The one displayed as Figure 4 shows ejecting material (bits of material large enough to have little air resistance) streaming out of the North Tower, which has traveled a distance from the tower in the horizontal direction, whereas the distance it has descended in the vertical direction because of gravitation pull is small. Note the quantitative information that can be gathered from the ejection photograph in Figure 4. We can estimate that, at the front end, the ejecting plume has apparently fallen no more than roughly 3 feet (an estimate that might have up to a factor of 2 in error), whereas the horizontal distance of the front from building is about 1/3 the width of the North Tower, or about 70 feet. If we neglect air friction resistance over the length of the streamer, from fall distance s=0.5gt2, where g=32 feet/sec2 is the gravitational acceleration, we estimate 0.43 sec as the time since the front end first ejected from the building. That means that material in that squib is traveling horizontally at roughly 163 feet/sec, which means the squibs are effectively "bullets" of bits of material produced by the explosions. Roberts also references calculations done by Dr. Zdenek Bazant et al to explain away the squibs. Kevin Ryan, in his comprehensive analysis of the squibs, has this to say about Dr. Bazant’s calculations. Bazant, Le, Greening and Benson estimated the velocity of escaping air to be as high as 340 m/s, or 1100 fps. Of course they were trying to establish an argument for the bursts having reached the speed of sound, in order to explain away the witness testimony to explosions. Several refutations of Bazant’s work have been published by members of the Truth Movement. • 16:52 Explosive demolitions eject debris, sometimes dangerously. At this point Roberts asserts that explosives would have caused shrapnel to be ejected everywhere out of the Towers at high speeds. He claims that explosives powerful enough to destroy the Towers would have done this. However, as even his video shows, there are ways of preventing that from happening. One of the ways this could have been prevented is by limiting the areas attacked by explosives in the Towers. Mechanical engineer Tony Szamboti has suggested that the two main sections of the Towers that were attacked were the outer core columns and the corner perimeter columns. This could very well have limited the amount of small debris ejected far and fast. Regardless, Dr. Grabbe has shown evidence that much of the debris from the Towers was ejected great distances. 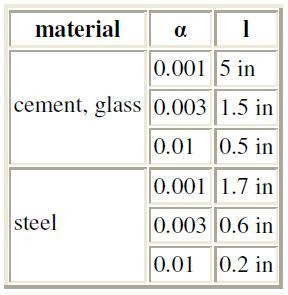 A table below summarizes some typical values of α for various material parameters. ln (1 + α vot) where vo is the velocity of initial ejection from the tower. Taking t to be the time the material remains in the air from (5) (solving for t after setting y=h) gives x(t) = xhit, the distance the material travels away from the tower. Graphs of that distance xhit versus the α for the material are shown in Figures 5 and 6 for ejections from about 1304 feet (400 meters) and 489 feet (150 m). Thus, Dr. Grabbe shows that much of the material from the ejections would have been shot out up to 1/4 mile or more from the Towers. Roberts proceeds to quote WTC engineer Leslie Robertson and his objections to the idea that the Twin Towers were demolished. Gregg Roberts has addressed Robertson’s statements. ROBERTSON: …I've not participated in the NIST Report directly, although of course I've read it, as have thousands of other structural engineers and other interested persons. Note the compound category, in which the relative numbers for the two categories of people who have read the Report are not provided. 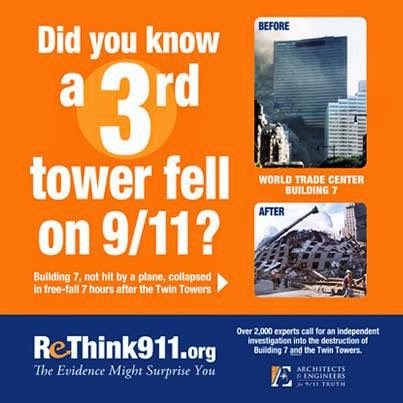 Maybe it’s three structural engineers and thousands of 9/11 skeptics! But as usual throughout the interview, we’re supposed to believe this because of who Robertson is and because he speaks confidently, rather than because of evidence and logic. He is clearly implying that if only a few engineers have publicly challenged the official story, they are unlikely to be right. The idea of taking a majority vote of experts appeals to Americans’ sense of democratic values, but it has absolutely nothing to do with who is more likely to be right. ROBERTSON: But the collapse mechanism of the Trade Center is as we had anticipated it would be when we first designed it. It was not – please don't misunderstand me – it was not designed to collapse. But any prudent engineer looking at the future has to think about, what are the mechanisms that cause collapse, and how to go about strengthening the building so as to minimize that circumstance. So sure, we spent time looking at that kind of event, and that which was observable from the photographs and so forth is reasonably consistent with that which we thought would be the case. HOST: Why did it fall so straight down? ROBERTSON: Well, that's kind of the nature of that kind of failure. GR: This statement is reminiscent of the pre-scientific Aristotle: "It's in the nature of things to fall.” Throughout this response (continued below) Robertson says “uh” and makes other stuttering sounds and false starts more than in any other statement during the show. He misspeaks, saying that burning a sofa creates smoke capacity. After almost 20 minutes, Roberts finally addresses the issue of World Trade Center 7. He starts out by showing a clip from Loose Change that compares the collapse of WTC7 with a controlled demolition. Roberts criticizes this part of the film because the audio of the demolition was omitted. Again, we have already addressed the sound issue. And as it turns out, David Chandler has found evidence of explosive sounds preceding WTC7’s collapse in the very video Roberts uses to claim that no explosions were heard. Roberts then criticizes Dr. Steven Jones and his claims about squibs ejecting from the building. While I agree that the southwest corner of WTC7 showed no ejections, the north side of the facade clearly exhibited ejections of dust and debris. Of course, Roberts simply hand waves away any ejections from the building, claiming that it was due to… you guessed it. Air pressure. However, any pulverized debris would not have been formed until the building had already collapsed to that level. And the ejections could not have been smoke from the fires since, according to the NIST report on WTC7, the fires never reached that level of the building and the sprinklers were working on the upper floors. Also, the smoke from the lower floors could not have reached that level of the building, according to the FEMA report. Roberts also makes issue of the east penthouse collapsing into WTC7, not realizing that the collapse of the penthouse is problematic enough on its own. • The collapse started from the bottom. • The onset of the collapse was sudden. • The collapse was total. • The building fell in a near-symmetrical fashion. • Its acceleration approximated that of a free-falling object. • The debris from the building ended up in a fairly small pile almost entirely within its footprint. These are all standard features of a demolition that Roberts makes no mention of. This next part of Roberts’ video is simply a statement from Chief Daniel Nigro concerning his thoughts on conspiracy theories. This merely a person’s opinion, and addresses none of the scientific evidence which points to demolition. At this point, Roberts chooses to address the issue of the foreknowledge of WTC7’s collapse. He asserts that because the firefighters expected the building to collapse, the collapse was not unusual. However, Professor Graeme MacQueen has demonstrated that the foreknowledge of the buildings collapse is extremely suspicious. Also, any structural damage Building 7 might have sustained is irrelevant, as NIST claims that the fires alone brought the building down and that it would have collapsed even with no damage. Roberts then features a statement by Protec employee Brent Blanchard. Several of Blanchard’s claims about the collapse of the WTC have long been refuted by Jim Hoffman. At this point of Roberts’ video, he shows a statement from Irwin Cantor, WTC7’s structural engineer. It’s important to note that Cantor makes no mention of “conspiracist claims.” Others have studied NIST’s claims about what caused the collapse and have found numerous problems. Roberts then shows us a video about how the new WTC7 is being constructed. Regardless of whatever upgrades were given to the new WTC7, no building like the original WTC7 has ever collapsed from fire. The video proceeds to criticize Richard Gage for using a video of a demolition with no audio. Again, we have already covered that the sound issue is explainable. If this is greatest flaw Roberts can find in Gage’s presentation, then he’s a long way away from debunking anyone. 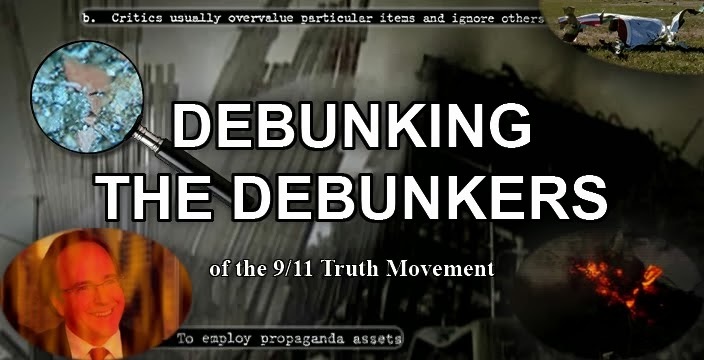 • 28:36 AE911Truth and STJ911truth member and mechanical engineer Tony Szamboti claims Silverstein said WTC 7 was brought down for safety reasons, and claims the towers showed upward explosions. Roberts then goes on to criticize Tony Szamboti for his claims about Larry Silverstein and the ejections of debris from the Towers. While there does appear to be no upward ejections from the Towers, there are outward and even downward ejections that are clearly smoking guns. As for Silverstein, I have never seen the program Szamboti is referring to, but we now have conformation that Silverstein did discuss demolishing Building 7 on 9/11. Roberts addresses none of Szamboti’s scholarly technical essays on the collapse of the Towers, and decides to simply attack some of his lesser claims. • 29:49 Leading conspiracists claim pyroclastic flows resulted from use of mysterious explosives. Also, several members of the movement have only referred to the clouds as “pyroclastic-like,” including Richard Gage on his updated AE9/11Truth website. • 32:49 Was all or most of the WTC tower concrete turned to a fine powder? Roberts goes on to address one of the more controversial issues about the collapse of the WTC: the pulverization of the concrete. Admittedly, the pulverization of the concrete has been exaggerated by members of the movement. However, although the concrete was not completely pulverized, the concrete at Ground Zero appears to be very similar to concrete after a controlled demolition. Roberts then takes issue with the fact that the types of explosives Dr. Jones and others have suggested were used would not have pulverized the concrete anyway. However, this is not necessarily true. Given the moisture content of concrete, elevating it to a sufficient temperature would cause explosive spalling. If large quantities of aluminothermics such as thermate and nanothermite were used to sever structural members, the excess heat could have caused such spalling. • 36:02 Steven Jones, David Ray Griffin, and Richard Gage can't make up their minds: explosives, thermate, or super-secret mystery weapons? Roberts next proceeds to criticize members of the movement for claiming different types of explosives were used in the demolition of the Towers. As Roberts puts it they “can’t make up their minds.” However, Richard Gage has responded to these weak criticisms. Roberts’ video then goes into the fact that there was already an enormous amount of energy in the buildings to begin with: gravitational potential energy. He claims that because the Towers fell at less than the rate of free fall, the buildings actually absorbed a huge amount of energy. However, this is the case in any controlled demolition. Buildings brought down with explosives rarely, if ever, fall at the rate of free fall and their collapses clearly absorb a large amount of energy. But according to the official reports, no explosives were used to demolish the Towers, so how did they collapse in time intervals consistent with controlled demolitions? • 38:27 Mysteriously-expanding dust clouds? Alex Jones accuses, Jim Hoffman investigates. The next part of Roberts’ video deals mainly with Jim Hoffman’s calculations about the expansion of the North Tower’s dust clouds. He claims that Hoffman did not take air pressure into account in his analysis. While Hoffman has acknowledged that his calculations are not perfect, he did in fact take air into account in his analysis. Given that the Twin Towers' dust clouds behaved like pyroclastic flows, with distinct boundaries and rapidly expanding frontiers (averaging perhaps 35 feet/second on the ground for the first 30 seconds), it is doubtful that mixing with ambient air accounted for a significant fraction of their volume. Note that Hoffman claims the clouds only behaved like pyroclastic flows, not that they actually were pyroclastic flows. The idea that the falling debris could have caused the expansion of the clouds seems unlikely, as videos show that most of the debris hit the ground before the dust reached the ground. • 41:05 So what caused THESE dust clouds? Roberts next claims that the expansion of the clouds were not unusual because they happen in other controlled demolitions. Really. As we have already seen, this characteristic appears to be very consistent with explosive demolition. This small section of Roberts’ video simply makes fun of the Truth Movement for not having any papers published in any science journals. However, the Truth Movement now currently has six papers published in peer-reviewed journals, with three of them being published in the Journal of Engineering Mechanics. At this point, Roberts simply makes fun of the fact that members of the movement have not debated him. First of all, Richard Gage has debated Roberts. But perhaps the reason that many in the movement aren’t debating with Mr. Roberts is because they’ve been busy debating with actual scientists. Here Roberts ridicules AE9/11Truth and STJ9/11Truth for their low statistics online. This clearly is in no way representative of how many people question the official story of 9/11. Polls show a broad skepticism among Americans of the official story of 9/11. • 44:55 Structural engineer and WTC investigator Gene Corley on conspiracist methods – or lack thereof. Roberts then shows a video of Gene Corley claiming that the Truth Movement has no “engineering basis for its conclusions. Nothing could be further from the truth. There are currently over 1400 architects and engineers from around the world who agree we need a new investigation into the collapse of the three WTC skyscrapers. The last part of Roberts’ video simply suggests that people read the works of debunkers such as Dr. Bazant, Ryan Mackey, and Dr. Frank Greening, all of whom have been responded to. As I said at the beginning, Roberts’ video provides nothing more than half-baked arguments and petty insults. His video does nothing to answer the question of why those buildings really collapsed. Ultimately, I would say Roberts wasted his time putting this video back online, and that this misguided tour guide should really try to rethink his position. O Hai, Bentham Open Chemical Physics Journal! Bentham Open Chemical Physics Journal, Gone?